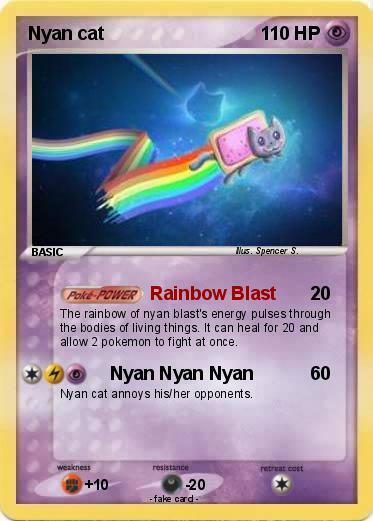 The rainbow of nyan blast's energy pulses through the bodies of living things. It can heal for 20 and allow 2 pokemon to fight at once. Nyan cat annoys his/her opponents.